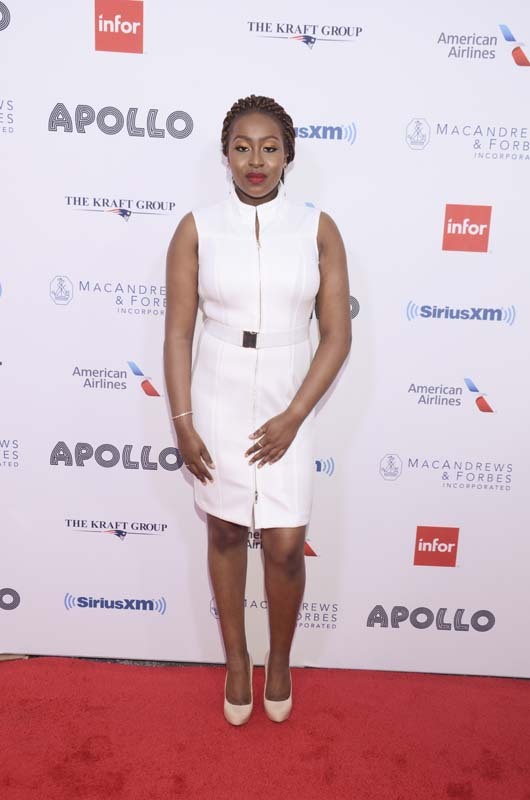 A host of celebrities and entertainers attended the Apollo Theater’s 13th Annual Spring Gala Monday night. Satellite and online radio broadcaster SiriusXM was honored at this year’s event. 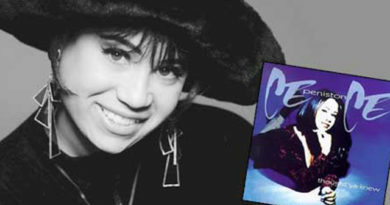 The benefit concert was hosted by actor and comedian David Allen Grier and highlighted R&B and hip hop artists from the 1990s. Performances were given by Bel Biv DeVoe, Salt-N-Pepa, Tony! Toni! Tone! Singer Brandy surprised the audience performing hits from the late Whitney Houston. Teenage Showtime at the Apollo alumnus Aidan Doran, singer Sarah Ikumu and boy band 4th Ave also took the stage. Apollo legend and musician Ray Chew served as music director for the evening. 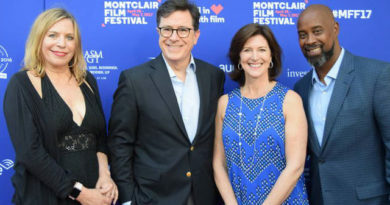 The event raised a total of $2 million. Proceeds from the celebration will support the nonprofit organization’s year-round, artistic, education and community programming. “Now, more than ever, we recognize the importance of nurturing the next generation of community thought leaders. The Spring Gala gives us an opportunity to celebrate our legacy as an ever-present driving force in music, but it also gives us a chance to highlight the importance of our year-round community and education programs,” said Jonelle Procope, President & CEO of The Apollo Theater. SiriusXM received the Apollo Theater’s Corporate Award. 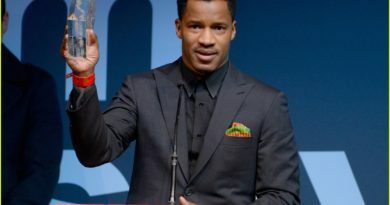 Radio personality Sway Calloway and hip hop legend LL Cool J presented SiriusXM President and Chief Content Officer Scott Greenstein with the honor. 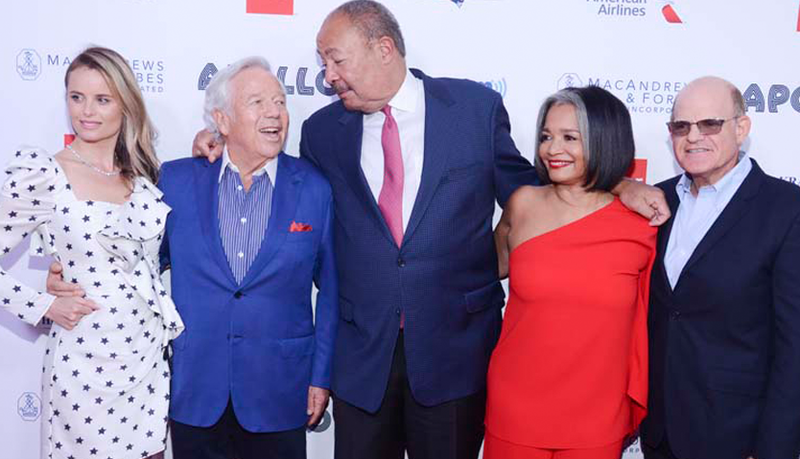 This year’s gala chairs included Robert K. Kraft, Laura and Richard D. Parsons, Ronald O. Perelman and Anna Chapman. Vice chairs included American Airlines, the Dolan Family Foundation and Debra and Leon Black. Following the concert, attendees were treated to an after party with music provided by DJ D-Nice at a special tent in the Adam Clayton Powell, Jr. State Office Building Plaza. ← A CALL TO ACTION A KNOCK AT MIDNIGHT!